Isaiah 5:21 "What sorrow for those who are wise in their own eyes and think themselves so clever." How Well Do NCA Students Perform Academically? Assessing the progress and potential of students on a routine basis is an essential component of a quality educational process. Of paramount concern is the goal that each student is able to achieve the potential God intended. Each division (elementary, intermediate, middle school and high school) has an academic program that enables students to develop the resources to become independent critical thinkers, decision makers, and leaders. As such, New Covenant Academy utilizes a variety of ways to determine student achievement. In addition to routine classroom observation, weighing student engagement and a holistic view of students, our professional educators utilize assessment tools that are both written by our own teachers that align with course content, but also utilize standardized testing tools that align with national standardized results. Students who took the Stanford Achievement test averaged in the top 19 percent in the nation. New Covenant Academy’s 2016 senior class scored above the national and state average on the ACT college entrance test. The administrative staff will determine grade placement for all students upon review of appropriate placement documentation. All new students will be given an entrance test or screening to help with this placement, unless adequate documentation, as determined by the administration, already exists. Achievement testing provides both parents/guardians and teachers with an evaluation of the student’s general achievements, strengths, and weaknesses. At NCA, achievement tests are used as a tool in meeting each student’s individual needs, in determining how the school is meeting its goals, and in class placements for the following year. Attendance is vital during these testing days. Students should be encouraged and well rested during this time, and parents should pray with students prior to each day. The Stanford Achievement Tests are administered in the spring of each school year for students in grades Kindergarten – 2nd grade. The Otis-Lennon School Ability Test (OLSAT) is administered in the spring of each school year to elementary students in 1st grade. The ACT Aspire is given to students in 3rd-9th-grade. Results from the Aspire test series allows administrators, faculty, students, and parents to track students' college and career readiness. The Early High School Aspire test series (9th grade) also provides students with a predicted ACT score, allowing students to identify areas for academic growth. Furthermore, students undergo periodic testing, approximately once a month, to capture progress throughout the school year. The results from the data are provided to teachers and administrators to make adjustments to curriculum and instruction if necessary. All 10th grade students take the Pre-ACT in the fall of their sophomore school year. Results are used by students, parents and teachers to guage students' college and career readiness levels. 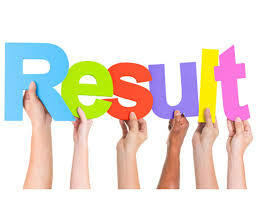 Results are also used by students and teachers to prepare students for the ACT. All 10th-grade students take the PSAT/NMSQT. Eleventh-grade students who score at or above the 90th percentile on any section of the PSAT/NMSQT as a sophomore will be asked to take the PSAT/NMSQT as a junior. The PSAT/NMSQT is the qualifier test for the National Merit Scholar Program. NCA will use the ACT as the test for measuring performance and progress for 11th and 12th-grade students. All junior and seniors are required to take the ACT at least once during each of those years. After a student has submitted test scores to NCA for both the junior and senior years, he or she will receive a credit on his or her account equal to the cost of one standard ACT registration fee. While not required, students are highly encouraged to begin taking the ACT during spring of their sophomore year. The Armed Services Vocational Aptitude Battery (ASVAB), which is administered to the 11th grade in the fall, discovers student’s interests and uses that information to help students become aware of possible careers available that work with their interests and abilities.